Google announced the Pixel 2 and the Pixel 2 XL last night. While it was nice to see India among the first list of Countries where the devices will be sold, Google did not mention the prices for each region during the launch. However, the prices are now official, and brace yourself for a surprise. Before we tell you the price of the Pixel 2 in India, let us tell you what the device costs in the US. The Pixel 2 price starts at $649 (which converts directly to around Rs. 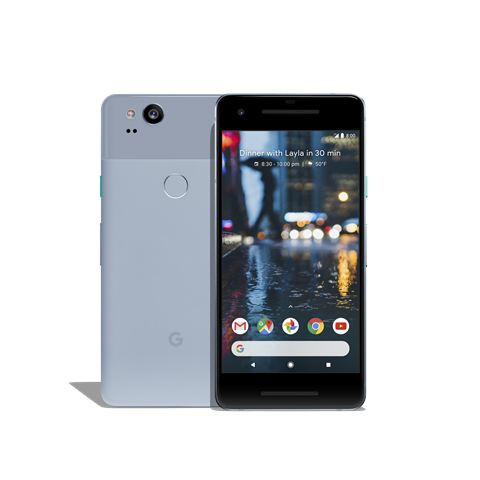 42240) for the 64GB version, while the Pixel 2 XL has been priced at $849 (about Rs. 55257). In India, the Pixel 2 has been priced at Rs. 61,000 for the same 64GB variant. The converted price is $937, a massive $288 extra (Rs. 18,760). The 128GB variant costs Rs. 70,000 ($1075), as opposed to the $749 it costs in the US. The Pixel 2 XL costs Rs. 73,000 for the 64GB variant, which is $1120 compared to the US pricing of $949. The 128GB variant costs $1049 in the US, and in India it will costs Rs. 82,000 ($1259). Pre-orders for the Phones begin on October 26th. The devices will be available online exclusively on Flipkart, and across 1,000 retail stores. The Pixel 2 will ship from November 1st, while the Pixel 2 XL ships from November 15th. The Pixel 2 Canadian variant has been priced at $899 and $1029 for the 64GB and 128GB models. The Pixel 2 XL will cost $1159 and $1289 for the 64GB and 128GB variants. The Pixel 2 price in Germany starts at €799 for the 64GB variant, while the 128GB model will retail for €809. The Pixel 2 XL will cost €939 and €1049 for the 64GB and 128GB respectively. The Pixel 2 price in the UK is £629 for the 64GB model, while the 128GB costs £729. The Pixel 2 XL costs £899 for the 64GB, while the 128GB model costs £999. The Pixel 2 has been priced at $1079 in Australia for the 64GB variant, and at $1229 for the 128GB variant. The Pixel 2 XL 64GB will retail for $1399 and $1549 for the 128GB variant.